I spent all of yesterday with my husband's Aunt and her brother at a local hospital. Uncle has had several health problems over the years and the latest being throat cancer. He has had his voice box and other tissue and muscles in his neck removed. The last time he was in Ann Arbor, they told him there was nothing more they could do for him. 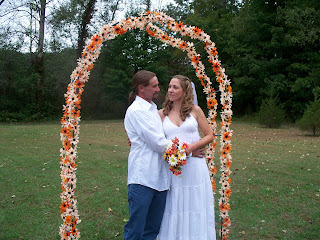 My hubby has always been good about helping people. So when the call came in yesterday at 5AM and he was going out the door to work, there was nothing he could do to help. I could tell he felt terrible about this because it isn't in his character to not help. I told him go to work and I will call your Aunt and we will handle whatever needed to be done. Hubby went to work, I called his Aunt, she picked me up and we both went over to Uncle's apartment. WOW! It wasn't anything we were expecting. I wasn't aware that the beginning of the end would be so messy...............and I won't go into the details here.....they are much to graphic. And suffice it to say, that I didn't think about what we had to do, we both just pitched in and did it! We had no other choice. We did call hospice, which has been offering mild help until he needed further assistance. Yesterday was the day. They came and told us to call an ambulance. And since Uncle didn't want to ride in the ambulance alone and Aunt drove and Uncle wanted me to ride with him and hold his hand. I did so and it wasn't a pleasant experience other than knowing that he wasn't alone with strangers. Upon arrival at the hospital and getting into an ER room, I had no idea that hospice patients with DNR and no life support orders and their families are basically left to deal with the situation in the ER room alone until it becomes necessary for the patients comfort while the final days of their lives pass. Uncle has an open stoma in his throat, and the cancer is continuing to grow. He takes nothing by mouth and the only air he gets is through this stoma. Needless to say that while coughing and breathing out, any secretions will be spewed out this stoma. When it became noticeable that he was having trouble breathing they called in the respirator team and they discovered that he had a large blood clot that he was unable to cough out. The man was literally dieing from strangulation. To watch someone struggle just to breath is one of the scariest situations I have run into. They did suction it out for him and placed a special stoma respirator over the stoma to help him. They were very helpful with keeping him comfortable after that with pain meds but the total care of any secretions being expelled were left to Aunt and I. They decided since they could not get a bed that day for him at the VA Hospital, they would move him to the Cancer Center there. He did get much better care there. Today he is awaiting transfer to the VA Hospital and will be on palliative care and hospice until the end comes. I can tell you, it was quite an experience and one I hope to never have to go through again. At this time, I would like to tell every nurse and care taker out there how much more respect and admiration I have for them and what they are required to do! I could never do this kind of thing on a regular basis. By the time I got home last night at about 6:30PM, I couldn't wait to jump in the shower and get some clean cloths on. And about 4 hours after being home and cleaned up, I fell apart! God Bless all the Palliative Care and Hospice Workers!!!!! and I just found out, almost a week after receiving it, that I was the recipient of an award given to me by my good friend and adopted daughter. Thanks Clew! I do feel special and now that I have it, I almost feel guilty for not posting as much as I use to..........but not quite guilty enough! 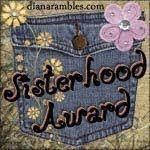 However according to Clew, I am supposed to choose ten people to give this award to. 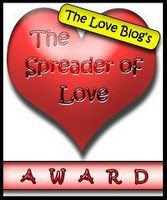 Although there are many blogger friends who deserve this award and it will be tough to choose, I wish I could give it to all of you. First there is Jaynewan who writes some wonderful things about what she sees and where she lives. And I can't forget my good friend Mary Anne, who lives on an island with the most beautiful scenery for miles around and is a very intelligent and interesting writer, and who happens to be an RN. She is a fabulous writer and person! Another one is Rebecca, who has some very interesting things that she writes about too. And since I haven't been keeping up on my blogging or reading, I am at a loss as to whom else to chose. Some of the ones I would have chosen were already picked by Clew, so until I can think of others, this will have to do for now! And once again, thanks Clewy for the award you bestowed upon me!